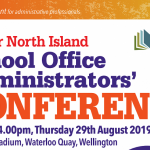 Lower North Island School Office Administrators’ Conference. 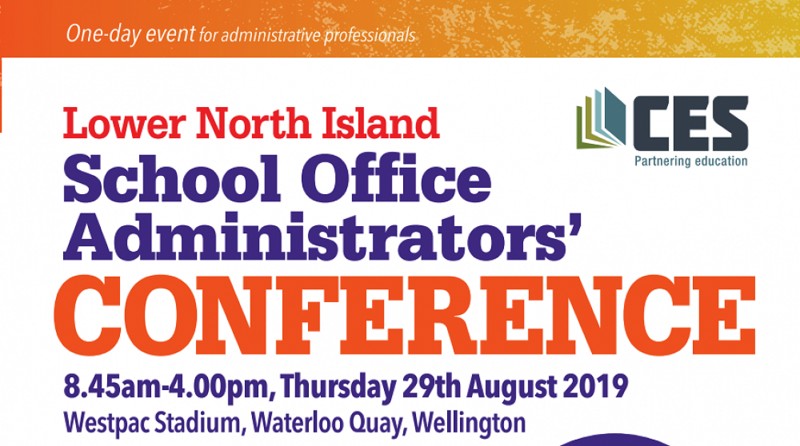 Get ready to learn new skills and network to your heart’s content with Wellington’s School Office Administrators’ Conference! Choose from a wide range of exciting and interactive workshops to attend throughout the day. CES has specifically chosen this year’s topics based on what will help to improve your key skills in your position. Workshops will include features on using Google and Microsoft products, dealing with stress and pressure at work, effective communication techniques and much more. Hear from speakers based all over New Zealand who are experts in their respective fields. You’ll be interacting with the best of the best, and people who genuinely care about improving your work systems. The workshops will feature e-Learning specialists, the Ministry of Education, technology experts, as well as Microsoft and Google leaders. We all know networking and building connections is the best way to solve problems and find new solutions, so what better place to do it! There will be plenty of opportunity to talk with others in attendance, as well as the experts leading the workshops themselves. So, what are you waiting for? Contact CES to register for this year’s Conference – it’s set to be a good one! Previous PostSouth Island School Office Administrators' Conference. Next PostSouth Island Property Managers Conference.